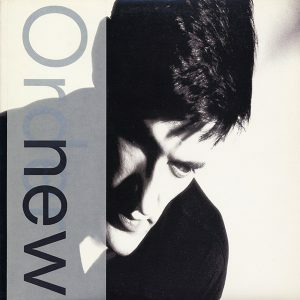 With Gillian Gilbert setting the scene with a dark dark synth tone, “Sunrise” hinted at a road not taken for New Order: continuing on the hard-rocking path originally blazed by Joy Division. That, of course, would have been a disaster. They were able to get away with it for “Ceremony” and “Dreams Never End,” but the only way that New Order to be a viable band by 1985 was to do exactly what they did: make their own path by fully embracing the electronics that had always existed at the fringe of Joy Division’s sound. Which is why “Sunrise” is so awesome: it initially had the feeling of a band initially relying on muscle memory — there were definitely the feel of “Disorder” or Transmission” in the interplay between Sumner’s guitars, Peter Hook’s churning bassline, and Stephen Morris’ forward momentum and even the lyrics, as Barney was questioning the existence of God in his life. Coming right at the end of side one Low-Life — and followed by the taut chill-out of “Elegia” at the beginning of side two — “Sunrise” basically was a reminder that they could come home they wanted to, but they had some other roads to travel. It also showcased just how much better they’d gotten as a rock band even while — or really because — they’d been focusing so hard on their world-changing dance-punk hybrid. And it’s that power that pushes “Sunrise” over the top: as the song progresses — Sumner kicking out arpeggios & chickenscratch leads, Gilbert’s synth swelling like a tidal wave — it gets bigger and bigger and bigger until it basically blots out the even the titular sunrise until it finally crashes into itself at the end.